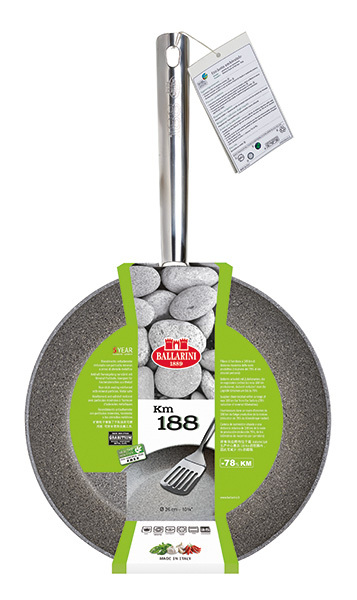 In 2013 Ballarini, a producer of nonstick cooking tools, created packaging for the 188 line of nonstick pans (the line produced with a supply chain a maximum of 188km from the production site) which uses 100% recycled paper. This move represents Ballarini’s commitment to sustainability, which is shared by stakeholders who interact with the company. The product has also been given an environmental label containing information about the company’s ethical responsiblity towards the environment and the different sustainability initiatives it runs for both the packaging and the product. In 2004 Ballarini factories were certified as conforming to UNI EN ISO 14001 standards for their Environmental Management System.